Romelu Lukaku wants Everton’s Boxing Day win over Premier League champions Leicester City to be the springboard for a winning sequence. The Belgium forward netted the second goal in the 2-0 win at the King Power Stadium, which was Everton’s first away win since a Lukaku hat-trick gave them victory at Sunderland in September. They are on the road once more on Friday when they tackle struggling Hull City at the KCom Stadium and Lukaku, 23, is targeting another three points on Humberside. Everton were able to control the game against Claudio Ranieri’s Foxes and they must aim for more of the same. “The win was something we needed,” said Lukaku. 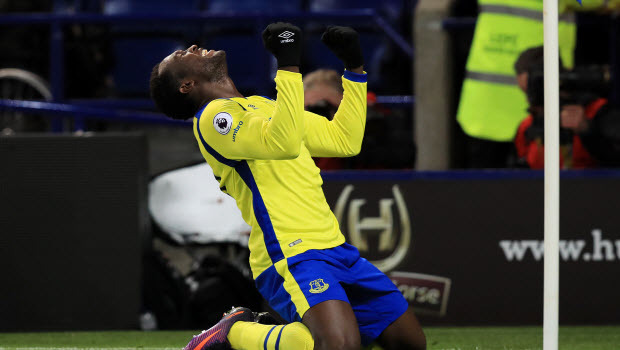 Two wins in eight games since the start of November means Everton have slipped seven points behind sixth-placed Manchester United in the table but Lukaku took plenty of positives from the display against Leicester. “We controlled the game and had most of the possession,” he added. “We didn’t create anything in the first half and in the second half there was more space for us to play. “When Kev [Mirallas] scored the goal, after that we had a bit more time and control of the ball. At the end we scored again and could have had a few more if we’d been more composed. “But two goals and a clean sheet is good for the defence.” Everton are 1.91 to win against Hull, with Lukaku 3.80 to score the first goal.